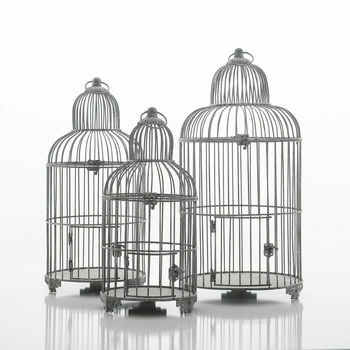 Wonderful ornamental birdcages, fabulous with plants or candles, in a stylish soft grey finish. 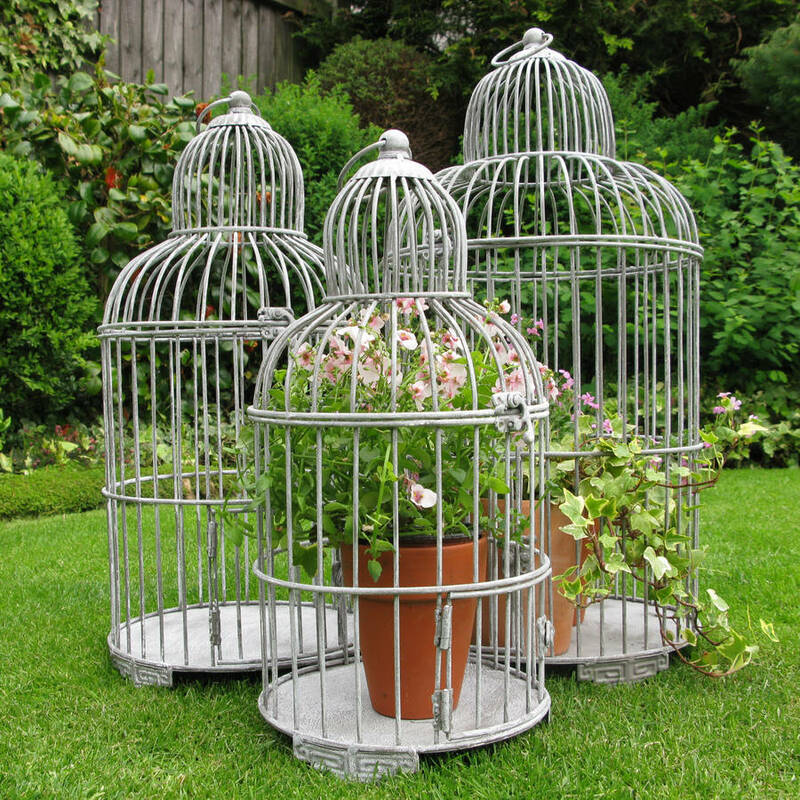 These decorative birdcage planters look really special in the garden but are also delightful in the home. 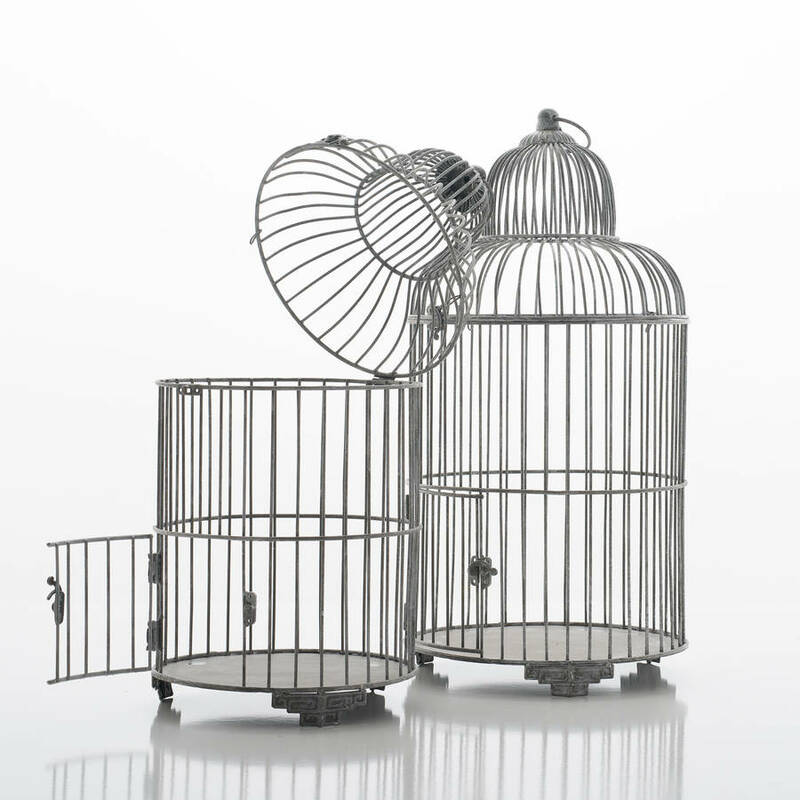 The top of each birdcage opens up, making easy access for any plants, candles or other decorative items you choose to add to them. Each one also has a small opening door to add to the charm. 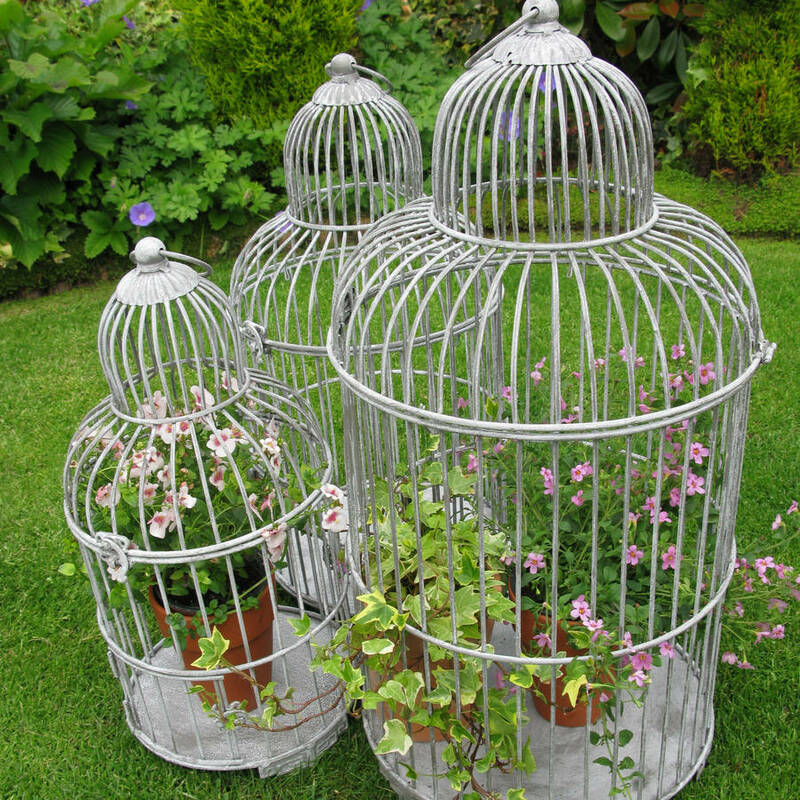 These birdcage planters have proved popular with wedding planners, as they make stylish and unique table centrepieces when arranged with either coordinating flowers or candles. 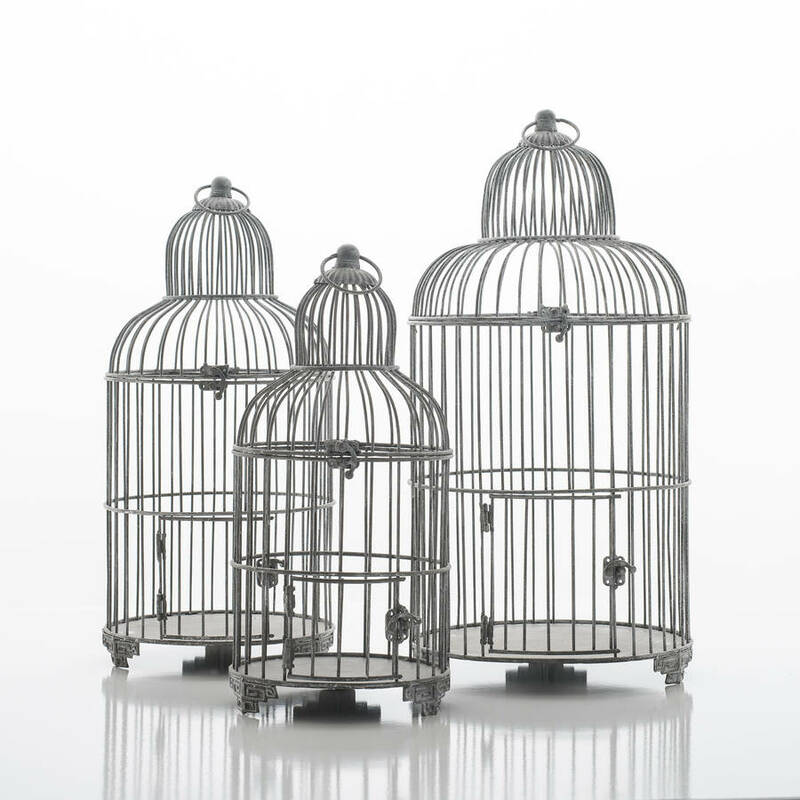 Special offer: buy one of each size and receive a discount of £7.97 and free delivery (applied at the checkout). This product is dispatched to you by The New Eden.